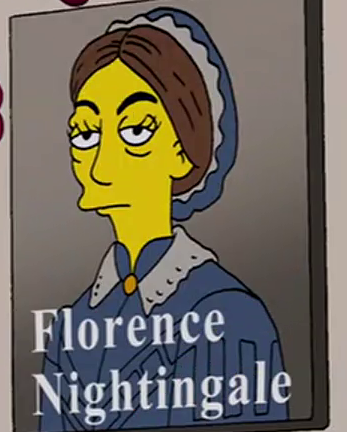 Florence Nightingale was a British nurse. Sideshow Bob visited the museum to steal Florence Nightingale's tenacity. ↑ "The Man Who Grew Too Much"
Modified on April 30, 2017, at 15:18.